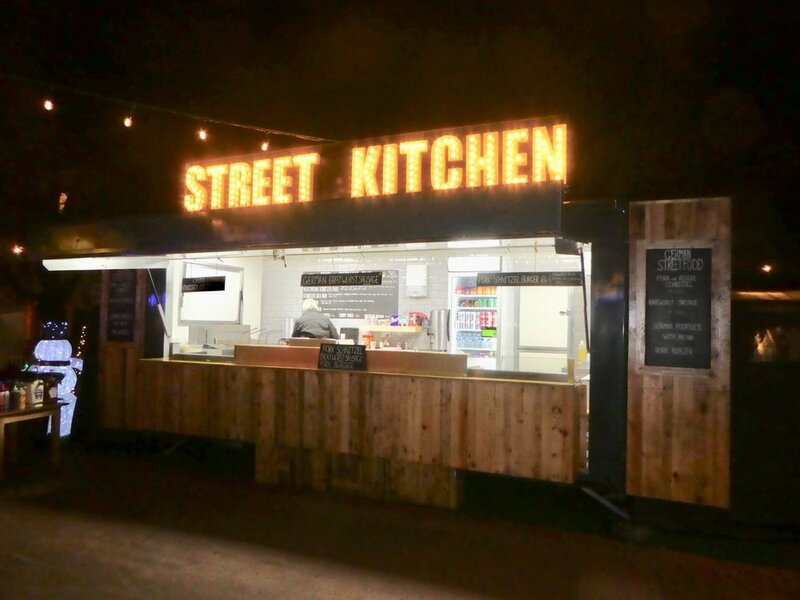 With a menu that's based on popular freshly-cooked fast food and service that's fast and friendly, our multi purpose catering unit Street Kitchen is ideal for providing high output catering at festivals, fairs, corporate events and concerts. These premium units serve quality bacon baguettes, burgers, proper sausages, crispy coated chicken fillets, veggie burgers and fries as well as a wide selection of hot and cold drinks. Fancy something that's not on the menu? Get in touch with a member of the Scoff & Sip team to discuss bespoke menu options. On the Street Kitchen menu: High quality beef burgers with cheese and fried onions in soft baps, pork sausages in fresh baguettes, bacon rolls, crispy coated chicken fillets in soft baps, veggie burgers with cheese and fried onions in soft baps, french fries with a variety of sauces, Cadburys hot chocolate, cappuccino, Nescafe coffee, tea, canned soft drinks, children's drinks and bottled water.